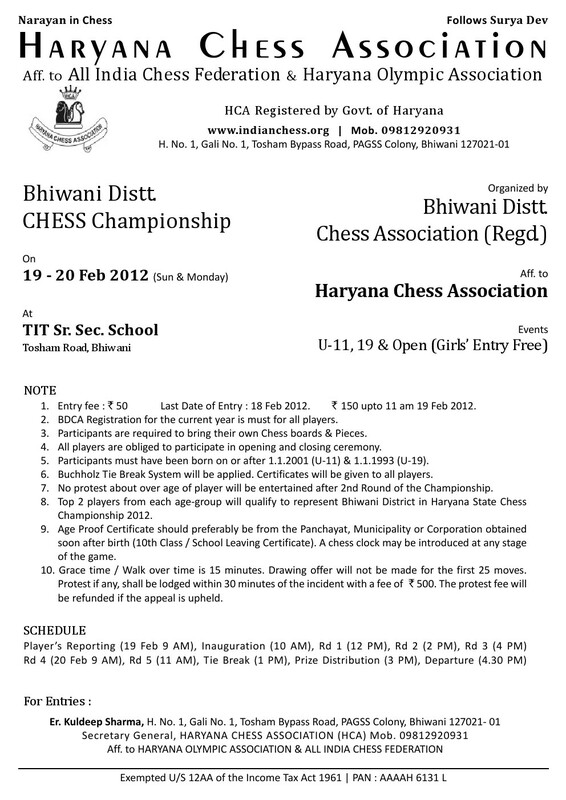 7 - 8 July : Bhiwani Distt. 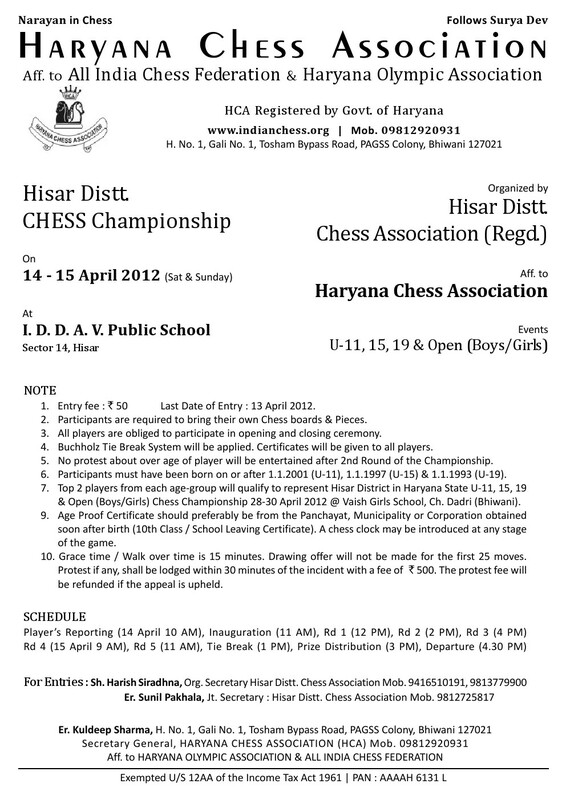 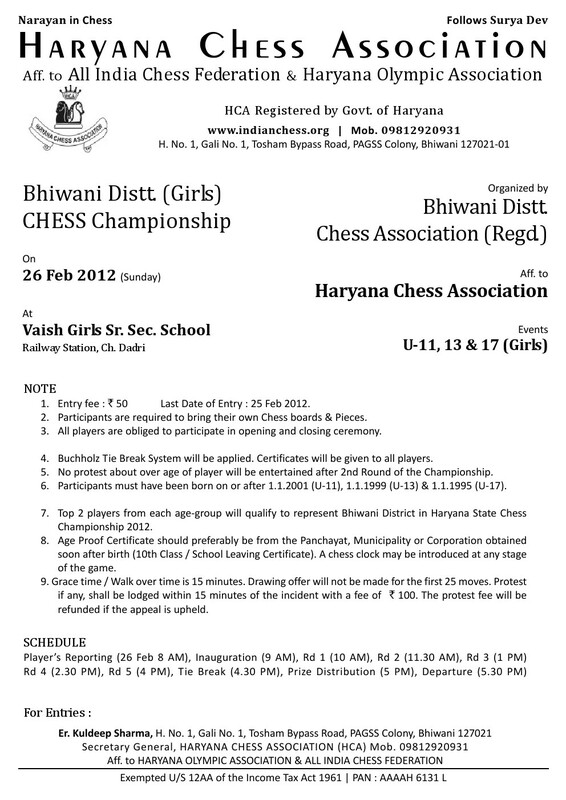 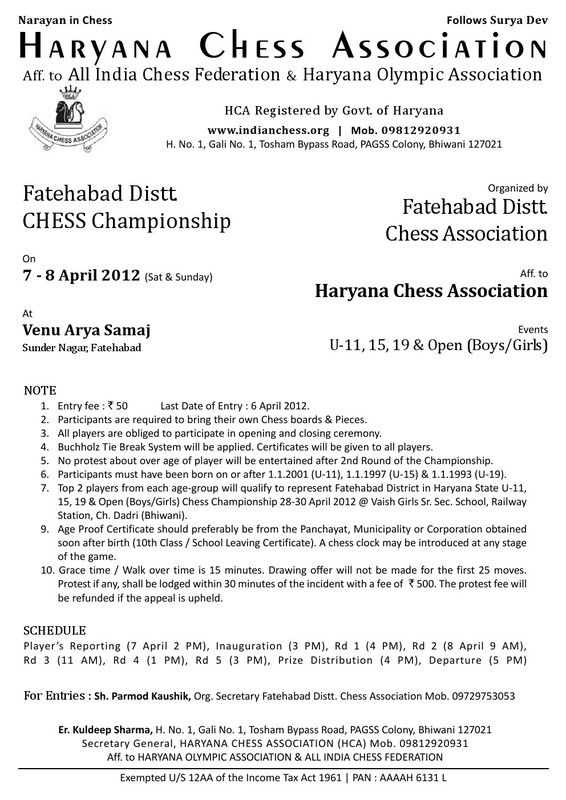 U-13 & 25 Chess Championship @ Public School Bal Bhawan, Meham Road. 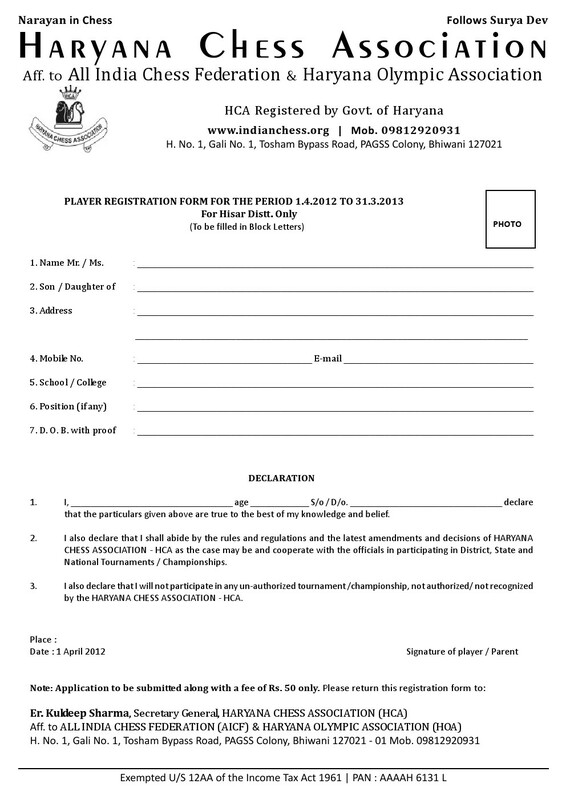 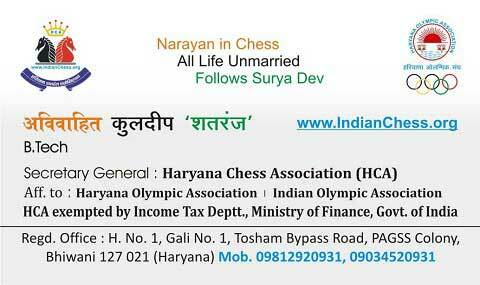 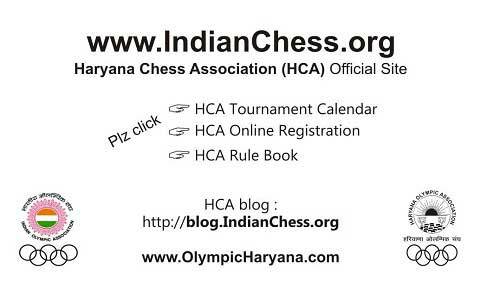 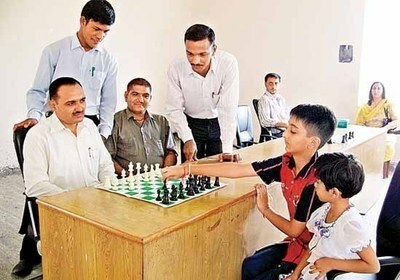 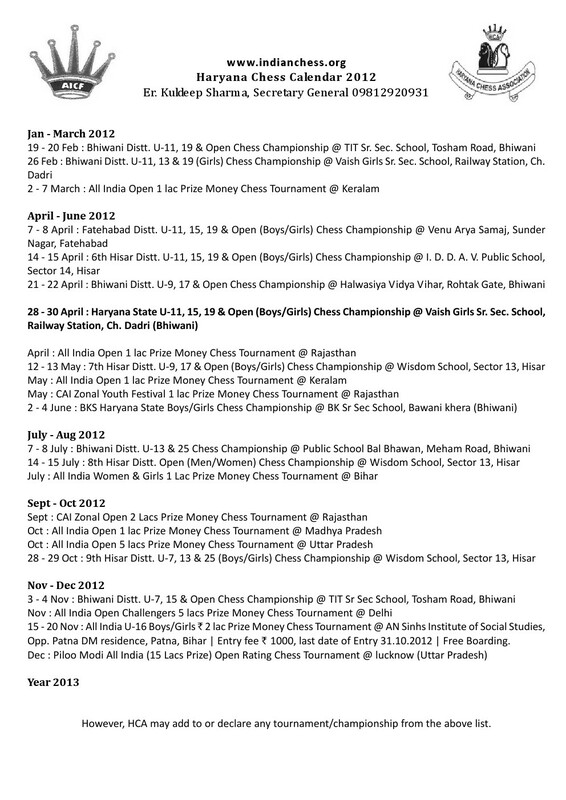 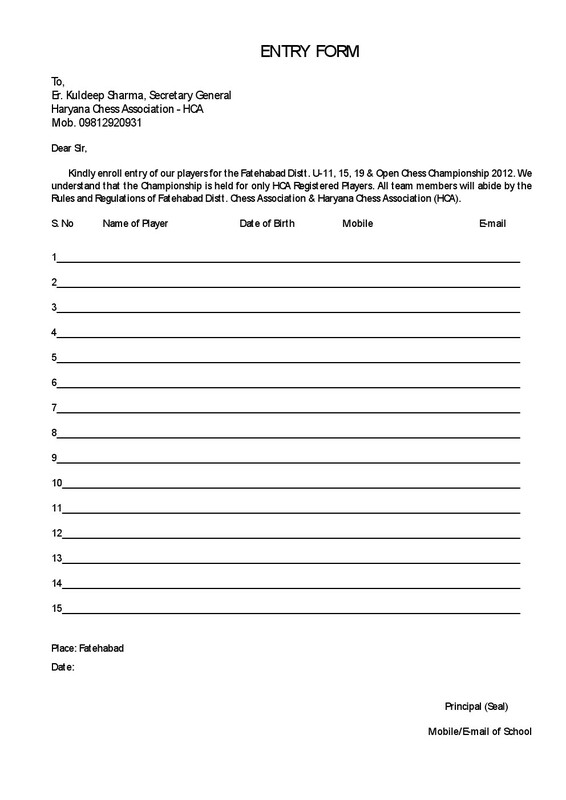 15 - 20 Nov : All India U-16 Boys/Girls 2 lac Prize Money Chess Tournament @ AN Sinhs Institute of Social Studies, Opp. 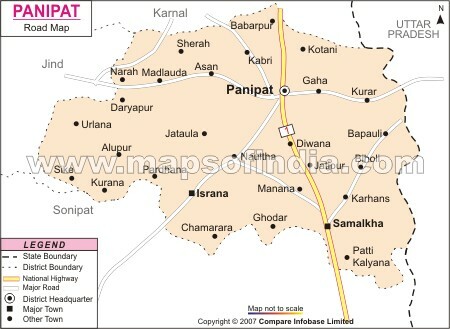 Patna DM residence, Patna, Bihar | Entry fee Rs. 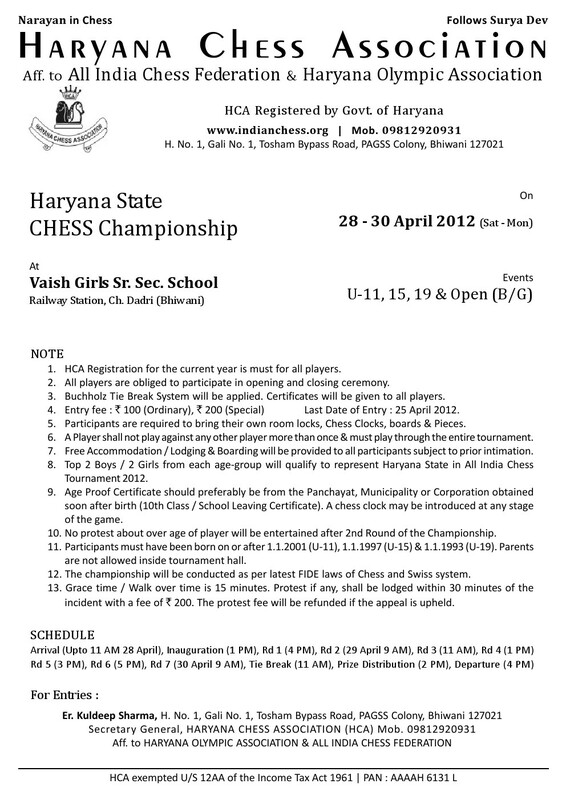 1000, last date of Entry 31.10.2012 | Free Boarding.